Sometimes ITIL and capacity management can prove to be a hard sell in an organisation with the associated costs being difficult to justify. With the advance of cloud and green technologies I believe the justification for strong ITIL processes and mature capacity management will become easier. This webinar will be in part based on process analysis conducted at a large financial organisation; I will discuss the profile of a “standard” ITIL capacity management implementation and how the methods and sub-processes will allow organisations to leverage all of the benefits inherent in cloud computing. Additionally, we will look at how you can transition a standard tactical capacity process to the sort of strategic process required to manage “the cloud”. 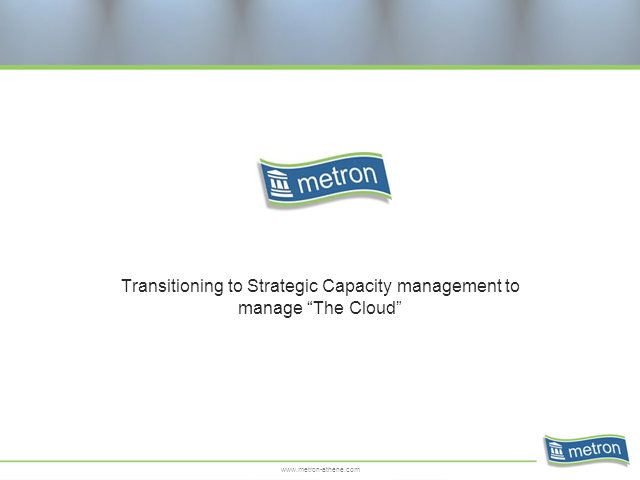 Rob Ford is a Principal consultant with Metron Technology specializing in capacity and performance management. His main focus is the delivery of tactical and strategic projects ranging from datacenter consolidation to ITIL process audits and implementation working with blue chip companies. He is an ISEB accredited instructor and a director of UKCMG, the industry body representing Capacity managers. Rob regularly delivers papers and workshops focussing on capacity management, virtualization and cloud computing. He has also developed and presented ITIL training courses and contributed to forums and bodies specialising in the advancement of capacity management, ITIL and management of virtualised and cloud environments.